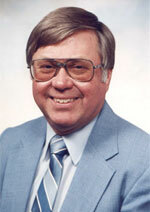 Lennart Naslund has been selling Dataliner Equipment since 1986 and Resistance Spot Welders since 1989. During 1970's Nike Hydraulics AB a Swedish Company founded in 1924 developed a Universal Frame Machine called Dataliner. This portable bench was using hydraulic pumps and 10 tons rams pushing on chains anchored to the bench (i.e. Vector pulling). By using a Laser Aided Square Angle around the car measurements could be taken very accurately. Dataliner was one of the first manufactured Universal Frame Machine in the world for unitized cars. Universal is opposite Dedicated Frame Machines where a set of jigs are needed for each car model (makes it very expensive). In 1978 the first Dataliner under the name of Nicator (The winner in Latin) was sold in USA. In 1982 Nicator Inc. was established as a distributor for North America. In 1987 the company changed name to Dataliner Inc. as well as the name Dataliner for their Frame Machines. Dataliner has over the years developed Drive-on Frame Machines for easier loading of the car and also Drive-on on Scissors Lift for convenient working height. The latest innovation is Dataliner ECHO 500 on a scissors lift utilizing both Vector and Dozer Pulling. In addition to the Frame Machines Dataliner has designed a series of Chassis Clamps for hard-to-anchor Chassis like Mercedes, BMW, Audi., Honda and Acura as well as for full frame vehicles like Pickup Trucks and Sport Utilities Vehicles. Dataliner offers two different kinds of Universal Laser Measuring Systems: Dataliner Fan Laser Combimeter + and Dataliner Line Laser Measuring System - A Laser Aided Square Angle. Both systems can utilize Galaxy CD-ROM Software with over 4,500 vehicle measurements (Data Charts). The software enables you to print damaged diagnostic as well as after repaired measurements. DALEX-Werke Niepenberg Gmbh & CO. KG, Germany. Ergonomic Work Station Kits with Overhead Boom and Balancer. Welding Electrodes in different length, forms and sizes (Metric or American Standard) for all makers of Spot Welders for the automotive collision repair industry. TUNGCORE Tips and Cylindrical Ratchet Tip Cutters. Heat Clips for spot welding aluminum. Shunting Clamps for spot welding through e-coating and glue (Weld bonding). Site & Satellite Survey Equipment for Satellite Antenna Installation. 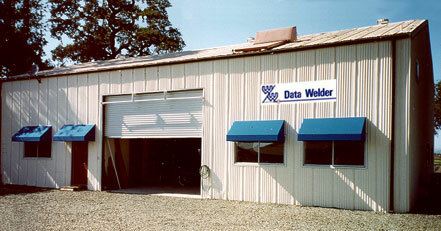 Data Welder has an electronic and hydraulic repair shop as well as a machine shop in Gilroy, CA. All equipment we sell can be serviced or repaired in our shop. Turn around time is only a few days with next day air shipment wherever you are located in the U.S. We also service these spot welders: Chief Inverter, Hirane, CompuSpot, A.R.C. Panel Beater, ARO Master/Arospot, Multispot, HTP Versa Spot, Tecna/LORS, Lenco Autospot. Stud Pullers: Eagle, Lenco, Porta-Spot, Marquette, Maxi and Shark. Data Welder offers Preventing Maintenance for Data Welder and Dataliner Owners. Also on-going re-training of new technicians is included. This PM can be done every 3, 6 or 12 month. Data Welder can provide certified on-site training with purchase of Spot Welders, Frame Machines and Laser Measuring Systems. Data Welder trade in and refurbished Spot Welders & Welding Guns, Dataliner Equipment, Laser Measuring Systems and Hydraulic Rams & Pumps. If you need your repair fast you can trade you bad unit against an already refurbished unit. Data Welder was the first company in the United States (1989) to introduce heavy-duty, portable resistance spot welders for the automotive collision repair industry. The main welding units are manufactured by Yashima Corporation, Japan, which has been the world leader in spot welders and spot guns since 1977. Data Welder has developed welding techniques and procedures that are included in available training seminars. Data Welder has been providing technical and financial support for the I-CAR Education Foundation and is involved with Collision Repair 2000 and I-Car's Uniform Procedures for Collision Repair. Data Welder has welders in all 50 states, Puerto Rico, West Indies, Canada, Mexico, Honduras and South America. All services are handled from Data Welder's technical center in Gilroy, California by highly factory-trained technicians. Yashima Wonder Welder spot welder series have been proven extremely durable with life expectancy of 15 years or more. Data Welder has provided site survey tools since 1987. Our instruments were used by EDS during set-up of General Motors dealership satellite communication network. Hughes Network Systems is using our Site & Satellite Finder in their installation of earth stations around the world. Other customers include the U.S, Geological Survey, U.S. Air Force, Hughes Global System, and Lockheed Martin Astronautics.